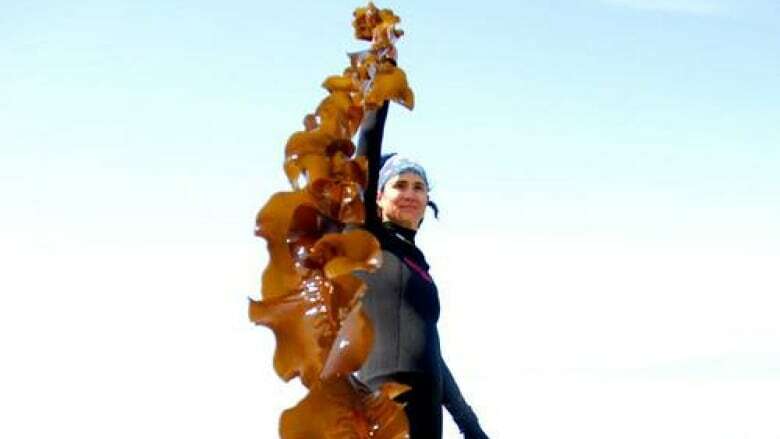 Amanda Swinimer runs the business Dakini Tidal Wilds, and for 17 years she’s harvested seaweed by hand to supply to health food stores. In the past few years she’s seen more demand from local chefs. Among the forests of kelp in the waters near Sooke, B.C., you'll find the mermaid of the Pacific carefully harvesting lengths of seaweed to tow to shore. She may not actually be a mermaid, but some think so, given the amount of time Amanda Swinimer spends in the water. Swinimer runs the business Dakini Tidal Wilds and for 17 years she's harvested seaweed by hand to supply to health food stores. In the past few years, she's seen more demand from local chefs. "I enjoy people eating seaweed for their health, but it's also now really exciting… to see the chef community embracing this wild, sustainable, Canadian local food that's got this unique taste," Swinimer told North By Northwest's Sheryl MacKay. That taste called umami is described as rich and savoury, and is the most prominent flavour in seaweed, making it a tasty and nutrient-packed ingredient for chefs to cook with. Seaweed is known to have high levels of minerals and vitamins like folate, calcium, magnesium, zinc and is also rich in protein and fibre. "Most of the coastal cultures at least have some tradition of eating seaweed so it seems it's having a bit of a rebirth now," Swinimer said. 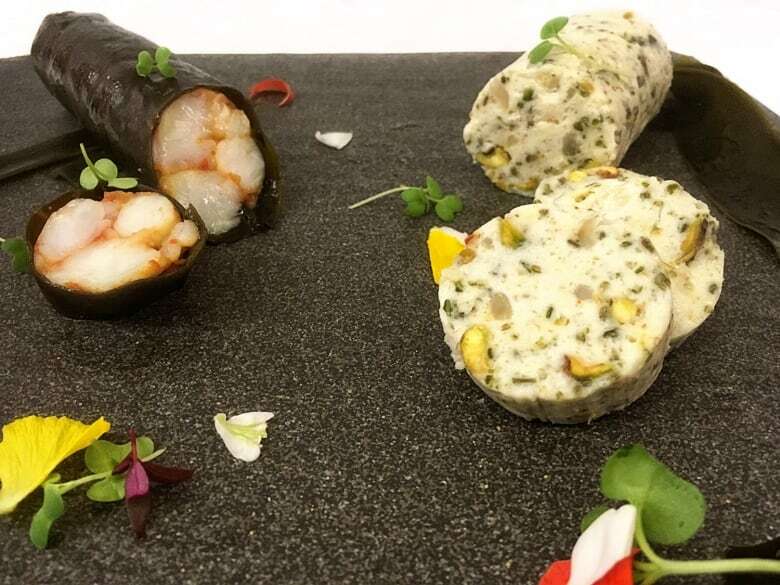 Chef Manpreet Sethi with Aura restaurant at the Inn at Laurel Point in downtown Victoria has gotten creative with the sheets of wakame seaweed Swinimer harvests, using it in his "SeaCuterie" plate. Sheringham Distillery in Shirley, B.C. on Vancouver Island is even using Dakini winged kelp in its Seaside gin. 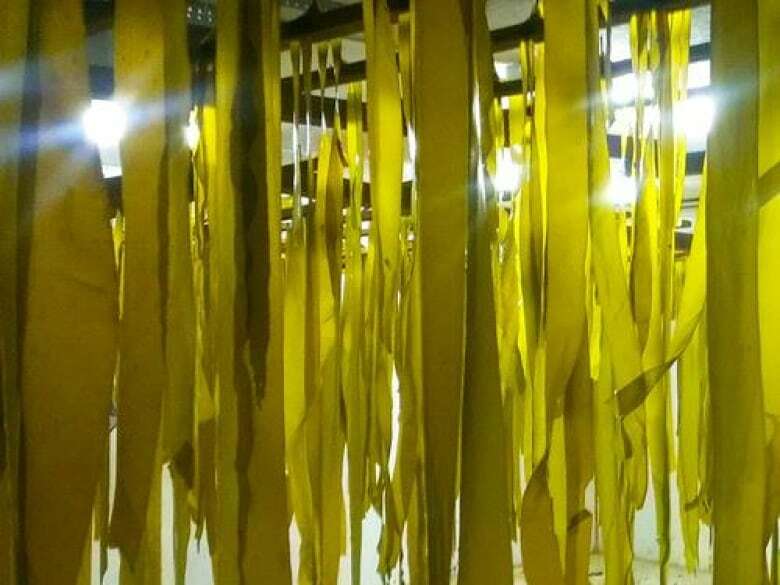 "I look forward to people getting innovative and using the seaweed in different ways," Swinimer said. 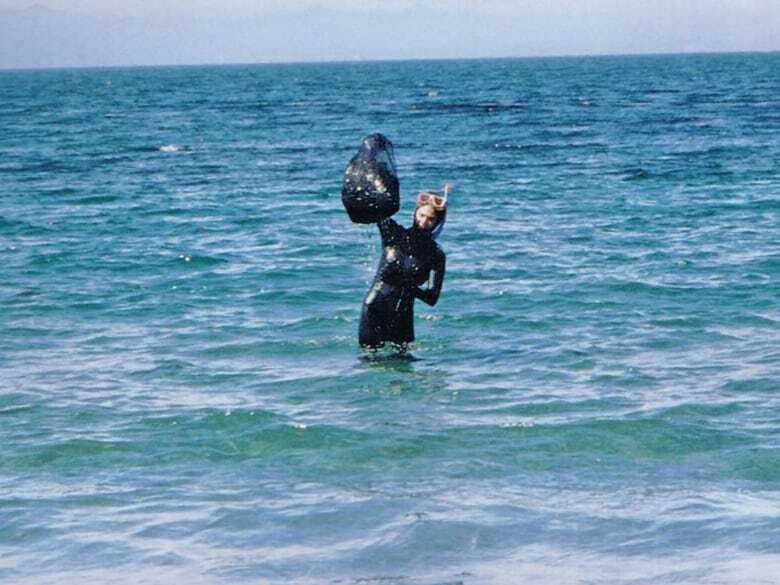 To collect the seaweed, she suits up in a wetsuit with gloves, boots, hood and snorkel gear then swims about 150 metres offshore to snip pieces of bull kelp off the fronds that float at the surface. "The advantage, aside from the fact that I get to snorkel in a kelp forest all summer long, is that I can see every piece... so I can get a really good quality by being able to see what I'm doing," she said. She tows her full bag of seaweed back to shore, loads it into a wheelbarrow and brings that back to her home where she hangs each piece on cedar racks to dry with the aid of a dehumidifier and fan. It's a labour of love that keeps Swinimer in the water, which is where she's happiest. "I didn't get into it because seaweeds where this amazing healing source, I just loved getting out in the ocean and I loved harvesting it."